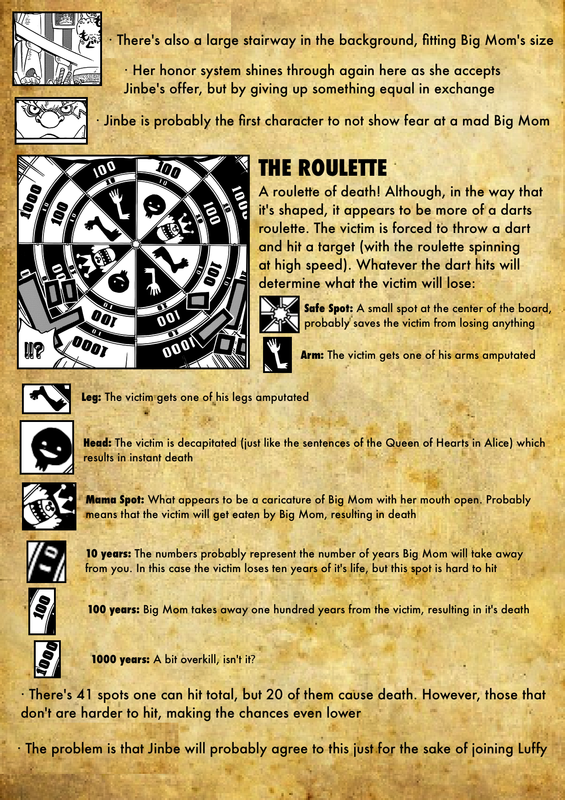 I might have gone through possibly the hardest math exam of my life… I might have a fever… but I’m still gonna do Chapter Secrets!! 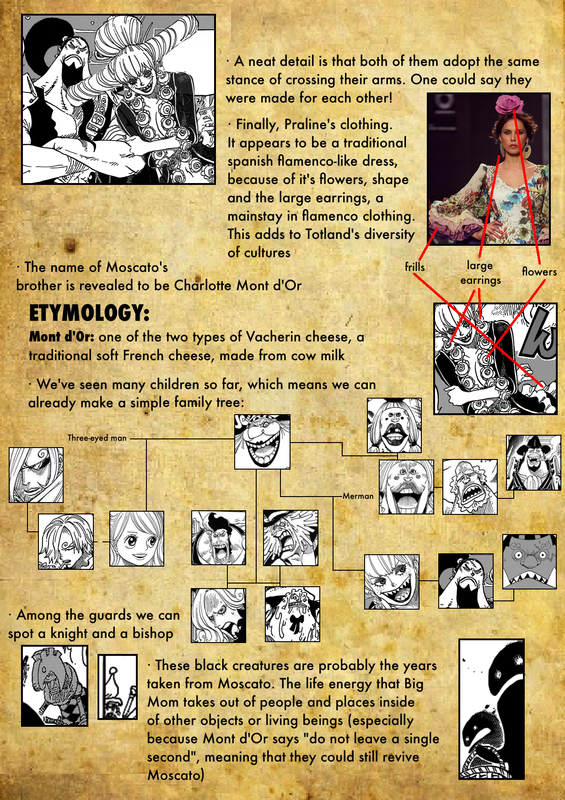 I do want to point out though, that between Pedro acknowledging Pekkoms past behavior, his “fall” here previously, and Pekkoms working with Big Mom. 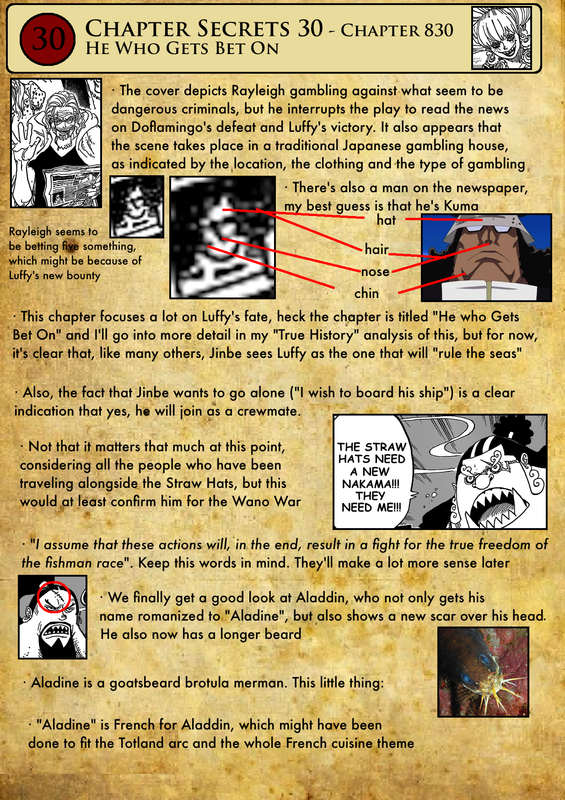 I believe this all ties together, and will be a flashback we’ll see later in the arc. 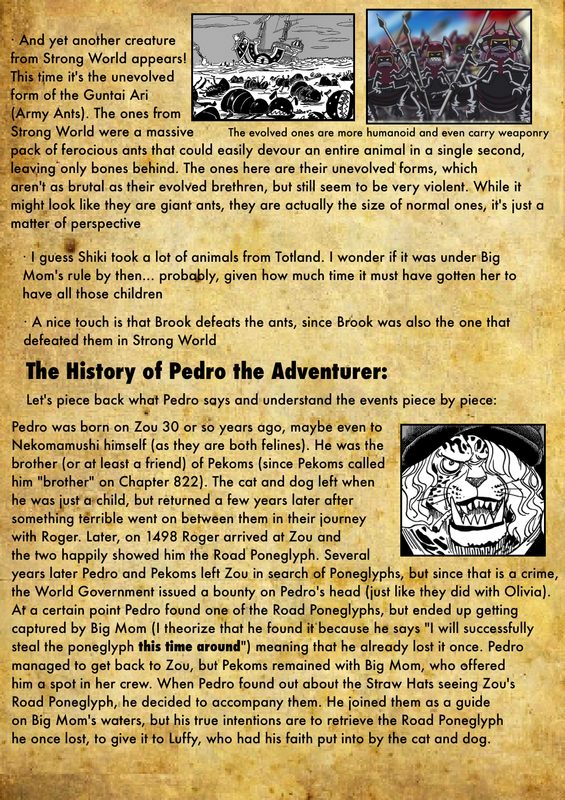 Either, Pekkoms betrayed Pedro, and went to work for Big Mom, sending Pedro packing, or Pekkoms sacrificed himself, and pledged allegiance to Big Mom, to save him and Pedro, and Pedro just feels Pekkoms betrayed him. I’m guessing the latter. 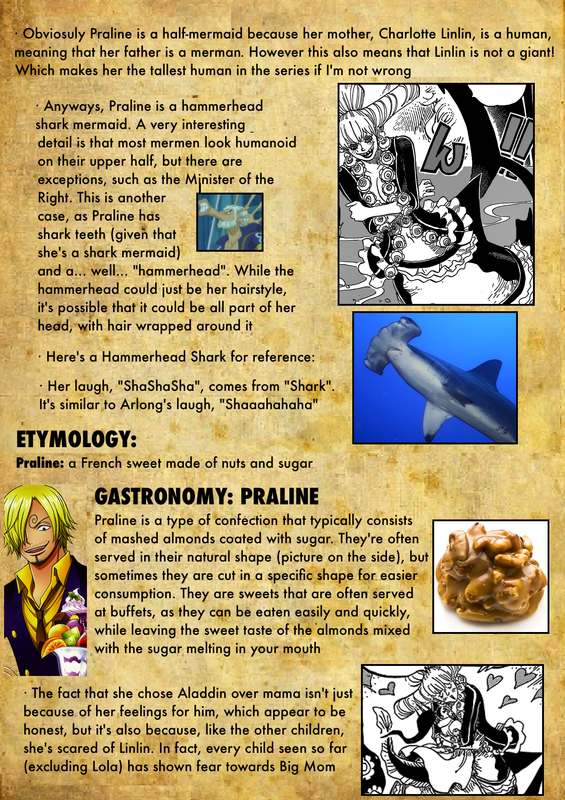 Also, you missed the Mizuame Gastronomy. Allow me. Ahem! Mizuame, translated directly into “water candy,” is a sweetener used in many Japanese confections. Similar to corn syrup, Mizuame is made through converting starch into sugar. It’s commonly made by adding acid to potato starch, though a richer variety Mugi Mizuame, is made through a more traditional method of mixing malt with glutinous rice, and allowing it to naturally convert into a syrup. It’s clear color, and honey-like viscosity and taste make it a popular ingredient in sweets. It can be a main ingredient, or added to a dish to give it a nice sheen. Looking into it though, I couldn’t find anything on it’s freezing point. 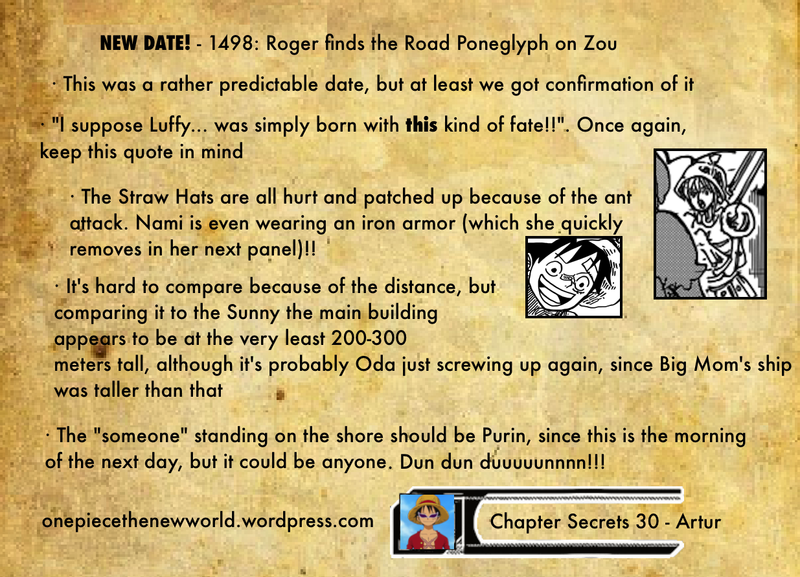 It either doesn’t freeze until many many degrees below freezing temperature, which wouldn’t make sense since none of the Strawhat’s seemed cold, despite wearing normal clothes. Or it doesn’t freeze, like honey, and just become more and more viscous. I may be missing something, but it seems to just be an error. I don’t usually adapt every single gastronomy (for example I also left out Moscato and Mont d’Or), mostly not to drag out the chapter too long and for time constraints, right now I’m during finals. But thanks for doing it for me! 🙂 Didn’t really research it, so it was interesting to read it! Oh. I didn’t realize you were still had finals. My frame of reference has been super off this term, as I finished school very early this time. And I can see why you skip some, just that one took me around an hour. But I’m still green, so maybe it’s a little easier for you. 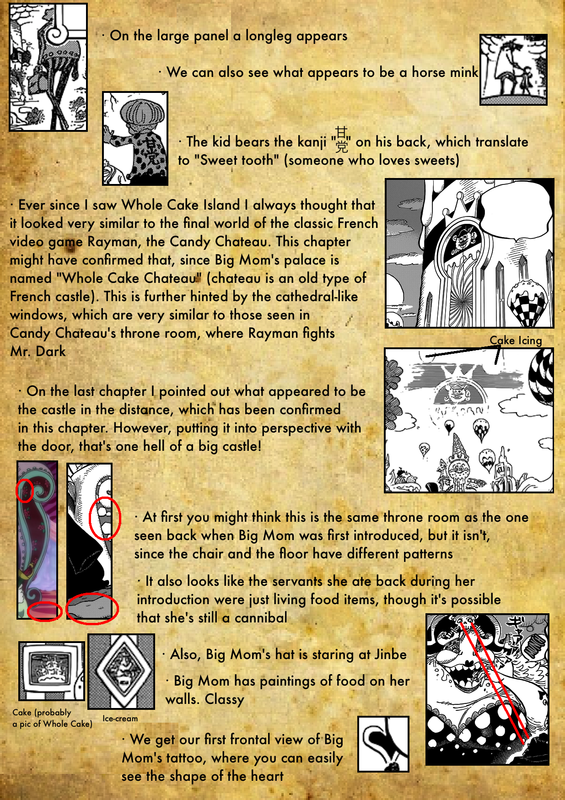 Just a little nit-picking: “chateau” means “castle” in French, since this arc names seem French-based, it may not refer to a kind of castle but “castle”. 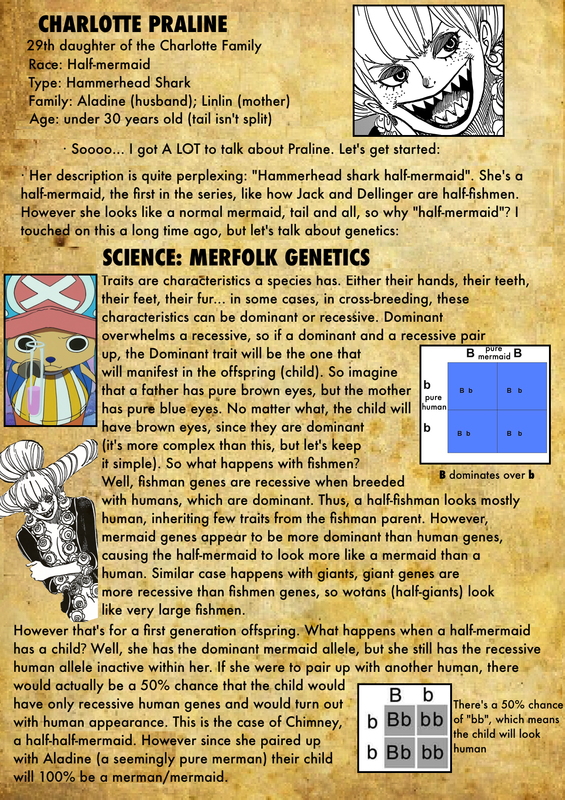 mAN I just came here through the one piece reddit page and IT IS AWESOME! Maybe you guys should make a youtube channel, I believe it would give you guys more exposure! 😀 Keep up the good work! !